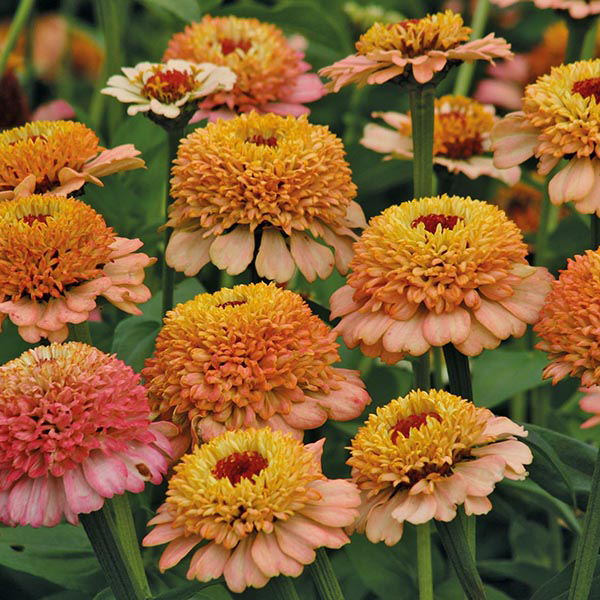 Gorgeous double ‘scabious’ type flowers in shades of salmon to light orange, each accented with a dark eye. Lovely to add colour in late summer borders and superb as cut flowers. 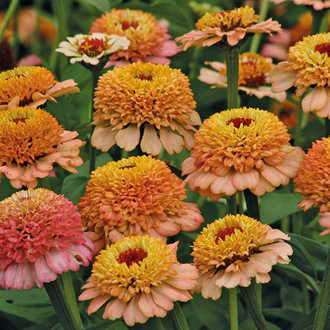 GROWING INSTRUCTION: Sow: outdoors, April to May, thinly 0.5cm (quarter-inch) deep in flowering position. Keep soil moist and weed free. Thin out allowing 30cm (12in) between plants. Or, indoors March to May, in pots or trays of seed compost lightly cover the seed and keep moist. Maintain a gentle warmth, 18-20oC (55-68oF). Thin (prick out) to further pots when seedlings are large enough to handle. Gradually harden off before planting out to final position spacing 30cm (12in) apart. Avoid root disturbance as much as possible.